Acetaminophen is a common pain reliever found in every pharmacy. However, it is also the No. 1 cause of acute liver failure in the United States. In the liver, acetaminophen is converted into a new compound that covalently binds to proteins at an amino acid called cysteine. 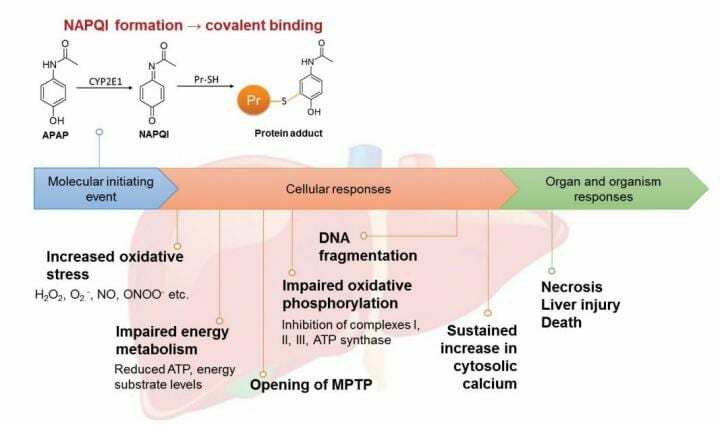 These covalent binding events are known to contribute to the toxicity of acetaminophen, but they cannot fully account for its role in liver failure. The compound is known to impair the activity of mitochondria, the cell's energy supplier, but does not bind directly to some of the enzymes in mitochondria whose activity it affects. Now researchers have found a new way that the breakdown product affects proteins in the liver. Other authors on the study included Alex Cheow Khoon Soh, Dorinda Yan Qin Kioh, Jianguo Li, Chandra Verma, Siew Kwan Koh, Roger Wilmer Beuerman, Lei Zhou and Eric Chun Yong Chan. Kerri Beth Slaughter contributed to this research summary.